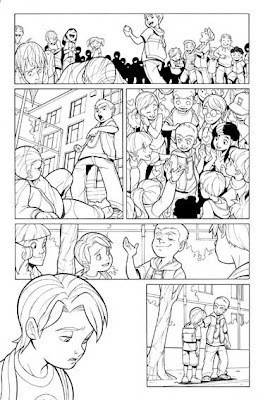 I was busy for a while with Inking work in a new Power Pack series. It finished finally in the other day. Fantastic Four and Power Pack: Favorite Son arrived at comic shops January 16. 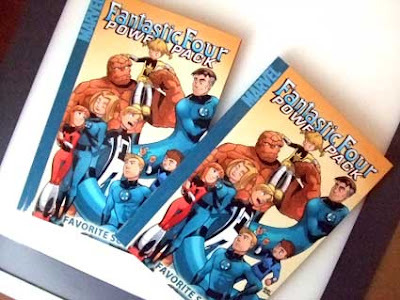 This digest-sized trade paperback collects Fantastic Four and Power Pack #1-4. 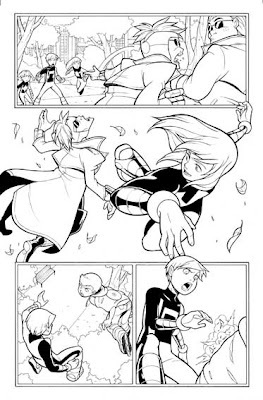 Written by Fred Van Lente, with art by Gurihiru. Look for this in the comic shops if interested in this comic. You can purchase it also by Amazon.com. 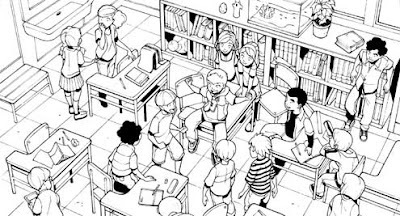 Here’s the some Ink panel from Fantastic Four and Power Pack. 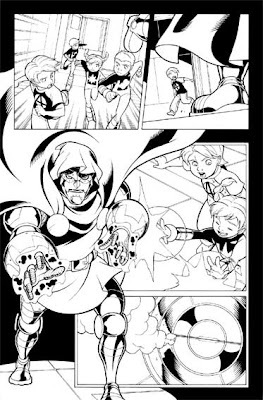 FRANKLIN RICHARDS appear on this issue. I especially likes he in Marvel Characteres. Glad to see you're still in the Cover AND inside pages thing. 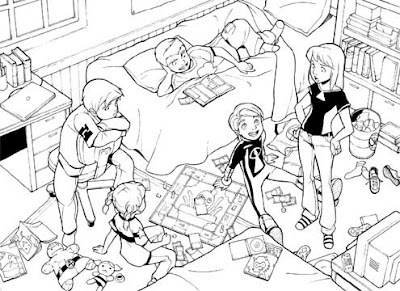 I have to honestly answer, I was quite disappointed with the inside art of "Power Pack vs Scrulls". "Power Pack vs Scrulls" wasn't even tolerable, it was just TERRIBLE! 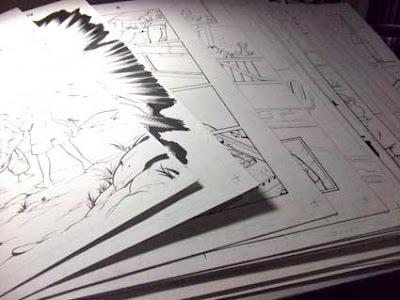 Why the heck did they even consider that artist for such a job?? ?